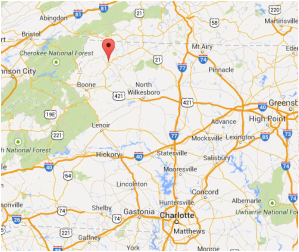 Ashe Memorial Hospital is a 25 critical access bed facility, dedicated to providing the highest quality medical care available to the people of Jefferson and Ashe County, North Carolina, and surrounding areas. This facility has earned a number of national awards and recognitions such as The Joint Commission on Accreditation of Healthcare Organizations and is affiliated with the Novant Stroke Program. Location: Jefferson is located in the North Carolina High Country of the Blue Ridge Mountains just 30 minutes from Boone and 1.5 hours from Winston-Salem. Residents enjoy the comfort of a small town feel with easy accessibility to amenities offered by larger communities in North Carolina, southwest Virginia and east Tennessee.